Trent barton is not your typical bus company. Later this month, it will roll out the long-awaited and much anticipated i4 concept – something of a revolution for the company. We interviewed Alex Hornby, Commercial Director at trent barton, to find out a little more about the company’s new direction. What makes trent barton so special? At the end of the day, to most people, it’s just another bus company. There is, however, a difference. Trent barton understands its customers like no other. To get to grips with i4, you first have to understand a little about the way the company is actually run. There’s no ‘fat controller’ sat behind a desk in Heanor, ordering buses and people around. No huge fleet of corporate-liveried vehicles. No army of eastern-European drivers waiting to be shoved onto whichever route needs them the most. Instead, each ‘brand’ (route) is managed by a ‘team leader’. There’s a dedicated team of drivers. And of course, those special route-liveried vehicles. This is where trent barton has built its reputation. Micro-management can often be a bad thing, but in this case, it works. The simplicity in the structure of the management ensures that the customer can very easily heard, either via speaking to the driver, or a simple tweet! It’s this philosophy which gave birth to the Rainbow concept, which in turn spawned the company as we see it today. Rainbow was an initiative taken in the early 1990’s after much market research. 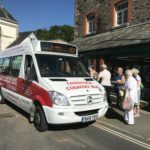 It aimed to give the customer exactly what they said they wanted, and meant a dedicated team of drivers, the famous ‘money back guarantee’ and of course, fully branded, route-specific buses. Forward time almost 15 years, and Alex says; ‘Now, every route is a Rainbow route…the brand isn’t as relevant as it was; it’s outlived itself’. Route branding back then was relatively new. Even now, the practice isn’t seen on a remarkable scale. Sure, companies applying route vinyls to vehicles is commonplace – but how many times have you seen one of First’s Overground vehicles on a different route to that which is plastered on the side? And how many customers have seen their driver more than once? ‘Our drivers are like celebs with the customers’ remarks Alex. ‘Drivers actually know our customers by name, and vice versa!’. However, the level of brand management which trent barton have created is about far more than simply painting buses different colours. ‘I call it the Cadburys effect’, says Alex. ‘Cadburys refer to their products as Wispa, Crunchie and Dairy Milk. They’re all in different coloured wrappers…and are instantly recognisable. It’s the same with our brands’. Essentially, route numbers are codes. You wouldn’t find Cadbury, Nestlé or any other esteemed confectionery manufacturer naming its products by the internal factory code. Somehow, we don’t think the ‘Product Code RM2207 500g Kid’ would ever have worked on the same level as the Milky Bar Kid once did. ‘The moment Cadburys’ start calling their chocolate bars “chocolate bar number 43”’, remarks Alex, ‘is the moment when we’ll have another think about what we’re doing…’. How many other bus companies can compare their services to a Kit Kat? 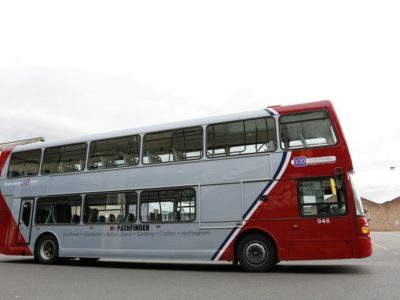 So, back to i4, then – and the question: how does a bus company go about changing the Rainbow brand, something which has been ingrained into their customers’ skulls for the best part of 15 years? Well, as Alex puts it – “It’s about educating the regular users”. One of the purposes of the i4 drip-feed and teaser campaign was to ‘ease the customers in’ to the new branding. After all, for the best part of 15 years now, the people of Borrowash, Sandiacre and Stapleford have been calling their service ‘Rainbow 4’, ‘R4’ or simply ‘the 4’. 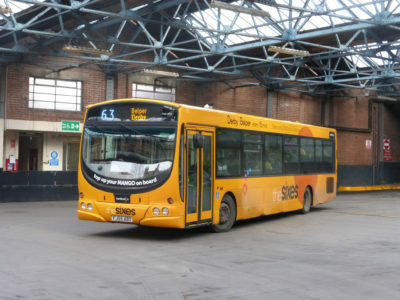 Unlike with the launch of indigo a few years back, where they simply swapped all the old buses over in one night with little explanation, trent barton have employed a full-on campaign to ‘educate’ them with the changes to their service. The i4 story actually started well in advance of the launch date, and comprised of a huge cross-media campaign. ‘Out with the old’ and ‘i am on my way’ were straplines used across bus shelters, the website, flyers, and even the Rainbow buses themselves. But where did the name ‘i4’ come from in the first place? ‘i4 just rolled off the tongue’ laughs Alex. ‘We thought i4 sounded great…we just had to come up with a meaning for it!’. And that they did. The i4 concept isn’t a huge revolution for trent barton, but a recommitment to the customer and the original values of the company. The campaign focused heavily on putting the customer first – from the branding, to the logo change, to the public photoshoots to find the faces of the new brand. 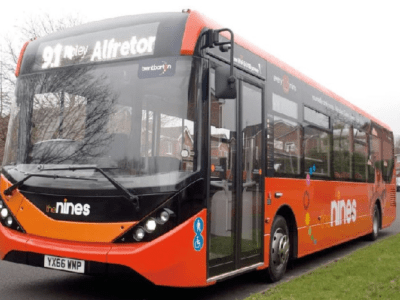 Stock photography is out of the window – literally – and as such, all of the faces you’ll see plastered inside and out of the buses are actual, real trent barton customers. So, don’t be surprised if you’re travelling on i4 and end up sitting next to the chap who’s face is also printed on the banner above your head. Autograph books at the ready. i4 doesn’t just signal a change in image for one route; rather it sparks off a whole new image for trent barton itself. There’s a new font – a bespoke design from Best Impressions – which appears softer and friendlier. And of course, the new logo which replaces the familiar trent barton ‘bow’. Research showed that most customers actually had no idea what the ‘bow’ was (many seemed to think it was a ‘squiggle’, or simply didn’t notice it at all. And from trent barton’s point of view, it never actually represented what the company stood for. So the new logo – shown below on our first pictures of the i4 buses – is a collection of circles, with the signature trent red forming the hollowed out ‘o’. Rainbow maybe disappearing, but its spirit lives on in the new logo. There’s also the trent barton ‘people’ (yet to be named…) – a collection of multicoloured helpers, which have begun appearing across the web and the vehicles themselves, building the brand right in front of the customer. Expect to see more of them in the future. The new image will be gradually rolled out across trent barton’s brands as they’re updated and upgraded, rather than undertaking the costly task of bashing it out in one go. Social media plays a massive part in trent barton’s customer service and education strategy. As Alex puts it, ‘why should our Twitter feed have a closing time? People don’t stop tweeting at 5pm, so neither do we’. The whole philosophy of communicating with the customer on their own terms seems to be working well for the company – people are more engaged than ever, and are certainly braver when it comes to offering ‘feedback’ over social media. Twitter, in particular. It quite often strikes us here at transportdesigned as fairly worrying that nobody else is really picking up on this – with the exception of a few select transport companies, such as London Midland. The industry really does seem to be missing a trick here – the very fact that trent barton has made it onto this year’s Social Brands 100 shortlist (almost) uncontested by any other bus companies speaks volumes. With i4, trent barton have taken digital engagement to the next level. Not content with creating hashtags online, they’re hitting their rather bored, and somewhat captive audience whilst actually en route. i4 takes hashtags to the customer. They’re literally plastered all over the vehicles. Where previously there may have been a notice asking the passenger to ‘send your thoughts to PO Box 40, the trash can in our office’, there’s simply a notice asking the customer to tweet #i4thought. 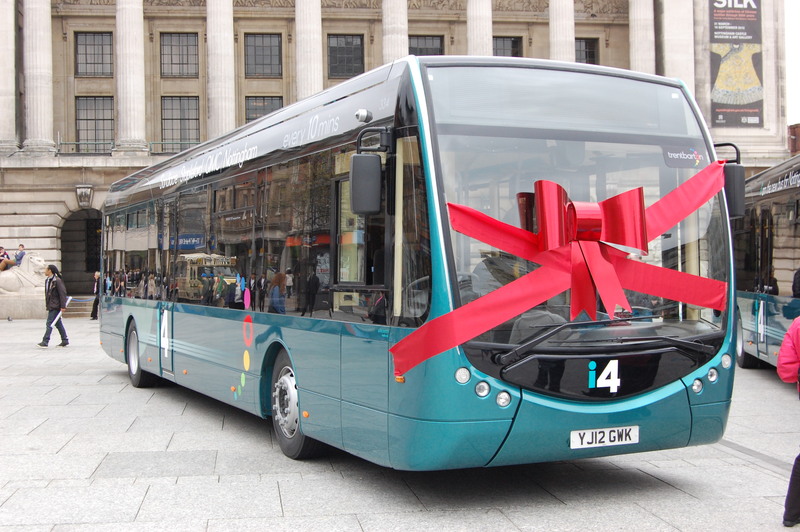 There was also #newbus4nottingham throughout the i4 launch campaign – clearly a nod to London’s own Borismaster revolution. It’s quick, it’s clever, it’s exactly what the audience are going to do. Especially with the price of stamps going through the roof. 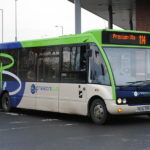 It’s clear to see why trent barton is doing so well in 2012, and why passenger numbers are increasing by 45% in some cases across its network. Digital engagement has largely been overlooked by the transport sector in the past. People aren’t tempted out of their cars by battered, dirty buses, high fares and rude drivers. Even worse for those who have no choice is when they feel they can’t report a rude driver because their email will get caught in a load of red tape, and they’ll likely never receive a reply anyway. Trent barton seems to have found a way to engage with customers – both on the ground and in cyberspace. But digital engagement can only go so far – people still aren’t going to want to travel on a scruffy, woebegone vehicle, no matter how good the customer services teams’ tweets are. Customers want to feel safe, invited, and valued – something which i4 is the very embodiment of. The rest of the industry should sit up and take note. Our thanks to Alex Hornby and team trent barton for inviting us to their offices for a chat. 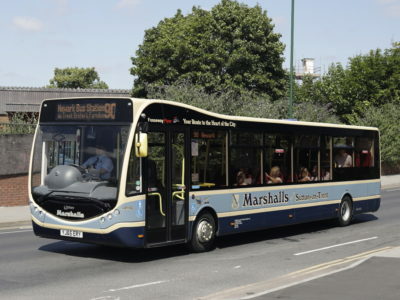 The quality of the vehicle is relatively less important that the service, and a recognition being (at last) championed by Norman Baker as the UK minister that people make journeys between places and not bus stops or stations. Social media, has become a way in which the total travel plan, complete, for the end to end trip, can be sorted out when you walk out the door. No longer will you wait, exposed to the elements and uncertain of the lenght of waiting time at a stop. With social media US train passengers are advising each other on how full the incoming train or bus is, and with electronic communication you will almost eliminate the waiting for onward travel, and at a stroke deliver journey time savings from a fraction of the amounts spent on vehicles (to go faster) and infrastructure (to be used at higher speeds). With such facilities the disabled passenger can travel with the confidence that they are expected at a bus stop and the bus will have a space on borad for them. Not difficult even for rail services, so why the 24 – or even 48 hour advance notice, and then that often failing to deliver. Brilliant piece about a brilliant bus company. 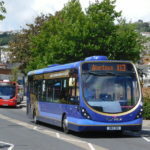 Doing your bit to promote the largest, by far, 67% of all public transport journeys in the UK, the bus! ‘The moment Cadburys’ start calling their chocolate bars “chocolate bar number 43”’, remarks Alex, ‘is the moment when we’ll have another think about what we’re doing…’. Back in the late 60s Cadbury launched a product called “Bar Six”!! graphic design, SEO, search engine optimization, web hosting, custom web programming,web hosting.